The living Guru "physical spiritual master"
The post is long and is mostly a compilation of quotes from Srila Prabhupada. I got value out of reading the quotes and bringing them together in one place. Devotee 1: Sabda-brahma is Krishna in sound vibration? Gour Govinda Swami: Yes. One has to hear. It is not that, "All right, tapes are there, I'll hear the recorded tapes." Sabda-brahma will never descend. Devotee 2: It doesn't descend through transmission of tape? Gour Govinda Swami: No, no. Devotee 2: Only when you are personally sitting there with a pure vaisnava? Gour Govinda Swami: Yes. Now in this material scientific age so many techniques are there. People, say, "No more teacher are required. We'll teach through television." Nonsense. Sabda-brahma will never descend. Devotee 3: What if one is a disciple of a bonafide guru, then later on that guru stops his lila. What should one do? Gauranga's pastimes are still going on. People say, "Oh Gauranga Mahaprabhu has disappeared." One who is very fortunate and has vision he can see how gaura-lila is going on. Devotee 3: That means that guru is always there? Gour Govinda Swami: Yes. He is always there. His lila is going on. Devotee 3: I may think, "I have already taken the dust of the lotus feet of my guru. Now he is not here. So I don't need that dust anymore." Gour Govinda Swami: Darsana is there. The guru is always there if you have the eye to see. If you are a sat-sisya you can always see how the guru is present. Devotee 4: How can we see guru? Gour Govinda Swami: Blind man! If you are endowed with that vision you can see.I never lost sight of my guru. I see my guru is always there. Therefore I cannot say,"nitya-lila-pravistha". It is so painful to me. No! He is here. Devotee 4: Do you have to be a pure dovotee to see a pure devotee? Gour Govinda Swami: Yes! That vision is required. If you have no vision then you are a blind man.How can a blind man see? The object is there. What is required to see the object? The first thing is the eye. Next is light. You may be endowed with vision, but if there is no light, how can you see? Can you see in the darkness? Therefore two things are required, first vision and then light. Even if you are endowed with eyes, if there is no light then you can't see. What is that light? The enlightenment by the mercy potency. If you are devoid of that, how can you see? Devotee 5: Anarthas are like clouds in front of the eye? Gour Govinda Swami: Yes, Yes. Anarthas are like clouds covering the sun. The eye is covered. Devotee 2: Can one see guru appearing in different forms, or is he coming in dreams? Gour Govinda Swami: He may come in a dream. He has different forms also, just as Krishna has different forms. Krishna has so many manifestations. Therefor we have described in our book Sri Guru-vandana about samasti-guru and vyasti-guru. Devotee 6: What are those kind of gurus? Gour Govinda Swami: Guru Krsna-rupa hana sastrera pramane (Cc. adi-lila1.45} -- scripture describes that it is Krishna who appears as guru. Krishna is one. Guru tattva is also one. Guru is one, but he appears in different, different, forms. That is samasti-guru. The particular forms such as Srila Bhaktivedanta Swami, Srila Bhakitisiddhanta, this person and that, this is vyasti-guru. Devotee 3: When Srila Bhaktisiddhanta Saraswati left, guru was still there? Devotee 3: Guru is always present? Gour Govinda Swami: Yes, always present. Devotee 3: Because guru is non-different from Krishna we understand that to be a guru is not an easy thing. So why is it said that someone maybe on the level of kanistha or madhyama and be guru? Gour Govinda Swami: All are gurus. There is kanistha-guru, madhyama-guru, uttama-gurus. Divisions are there. What you deserve you get. Krishna knows what you deserve so He makes an appropriate arrangement for you. Devotee 7: Some devotees are not accepting guru now. They are saying, "I'll just accept sastra." Gour Govinda Swami: How can you understand sastra? Devotee 7: But we have seen, as in Russia, that some devotees have only gotten books and they are now chanting, worshiping the deity, and preaching. Gour Govinda Swami: You cannot understand. In sastra, mantra is there. Nama is there. But unless it comes out from the lips of sad-guru, Sri Guru, your chanting will never be effective. The potency will never be there. Devotee 7: But they say that smrti-sastra is coming from the lips of vaisnavas, so we are hearing smrti. Gour Govinda Swami: Yes. This is how sastra manifests. When is comes out from the lips of sad-guru, Sri Guru, then it manifests. Though sastra is there, by itself it will never manifest to you. It's a question of manifestation. Devotee 7: Other persons say that we can hear from the commentaries of the vaisnava-acaryas. You cannot understand Bhagavata by taking help of the tikas, commentaries. So many commentaries are there. One may think, "Yes, I am a scholar. It is all written in Sanskrit. I know the language so I can read and understand it." No! You can only understand Srimad Bhagavatam by bhakti. You cannot understand Bhagavata by dint of your material scholarship, learning, intelligence, or by taking the help of the commentaries. No, no. Hear from acarya and then you can develop bhakti. Unless you hear, how can you understand just by reading? You cannot understand. Grantha-avatara will never manifest to you. You will only see paper, and black and white. Nothing else. Devotee 7: Then what is the meaning of the brhad-mrdanga-sankirtana? Srila Bhaktisiddhanta Saraswati has said that our kirtana is brhad-mrdanga-sankirtana, the printing press. Gour Govinda Swami: Yes. That will inspire you. Just one book distributed spreads so far. First you read the book and then one friend says, "Oh, let me read it." Then he lets someone else read it. In this way it sprads so much. The sound of the mrdanga only goes rom here to there. But the brhad-mrdanga spreads so far. That will inspire you. You will think, "Who is the source? Let me go and see and hear from him." Gour Govinda Swami: Yes. It is only in Kali-yuga that books are required.. In other yugas there are no books. Just by hearing once they would never forget. But in this yuga, if I ask you to repeat what you have heard after the class, how much can you repeat? You will have already forgotton ninety to ninety-five percent. Only five percent you may be able to repeat. Books are required. Therefore Vyasadev came and wrote books. In other yugas there are no books. They will help you remember, "Oh yes. I have heard. Now it is here." Devotee 7: In your book Sri Guru-vandana, you have described this flow of nectar as padma-madhu.You said that it comes to a devotee who is a sincere hearer. So someone who is very sincere to hear from guru and serves guru, he may get that nectar even though he may not have physical contact? Gour Govinda Swami: You should be greedy. Physical contact is required. You must hear directly, not just by listening to tapes. Sabda-brahma will never descend through a tape. One must hear from a physically present Sri Guru. "However, the disciple and spiritual master are never separated because the spiritual master always keeps company with the disciple as long as the disciple follows strictly the instructions of the spiritual master. This is called the association of vani (words). Physical presence is called vapuh. As long as the spiritual master is physically present, the disciple should serve the physical body of the spiritual master, and when the spiritual master is no longer physically existing, the disciple should serve the instructions of the spiritual master." "Some people complain that when they pray to God they do not feel His presence. We should know that this is due to our incapacities, not God's. There are two conceptions of presence--the physical conception and the vibrational conception. The physical conception is temporary, whereas the vibrational conception is eternal. When we enjoy or relish the vibration of Krsna's teachings in Bhagavad-gita, or when we chant Hare Krsna, we should know that by those vibrations He is immediately present. He is absolute, and because of this His vibration is just as important as His physical presence. When we feel separation from Krsna or the spiritual master, we should just try to remember their words of instructions, and we will no longer feel that separation. Such association with Krsna and the spiritual master should be association by vibration, not physical presence. That is real association. We put so much stress on seeing, but when Krsna was present on this earth, so many people saw Him and did not realize that He is God; so what is the advantage of seeing? By seeing Krsna, we will not understand Him, but by listening carefully to His teachings, we can come to the platform of understanding. We can touch Krsna immediately by sound vibration; therefore we should give more stress to the sound vibration of Krsna and of the spiritual master--then we'll feel happy and won't feel separation." When I first came in contact with Krsna Consciousness, I was new and open. Over time, I absorbed and internalized various ideas. I've since started to let go of some of the ideas that I had previously internalized. It feels amazing. "But the difficulty is that they mix up something. Just like you have tasted sweet rice, paramanna. And if somebody mixes some sand with it... The paramanna is very good, but because it is mixed with some sand particles it is spoiled. You cannot take. This is practical. Similarly, the teachings of Caitanya Mahaprabhu, teachings of Lord Krsna, is very simple. But the rascals put some sand particles. That is the difficulty. Spoils the broth, spoils the everything." "So this process should be avoided, mixing sand with the sweet rice. This rascaldom should be avoided. Then you can, everyone can distribute nicely." "Because I am not adulterating the sweet rice with sand, people are tasting it very nice. So you also follow the same principle. Don't try to adulterate. Present it as it is. And people will like it. There is no difficulty." Some of what I internalized during my period of closer contact with the ISKCON organization was crippling, and seemed to act as a filter through which I viewed Srila Prabhupada's teachings. In many ways my understanding during those early days of contact with Krsna Consciousness was purer and less distorted, even though I hadn't read or heard as much of Srila Prabhupada's teachings. It is only now, years later, and after having read and heard more, that I finally give myself permission to honor, value and give voice to the perceptions, gut reactions and realizations that I experienced in those early days. The funny thing is that much that I've read and heard over the years in Srila Prabhupada's teachings, since 1995/96, seems to confirm the original gut reactions that I had when I first encountered Krsna Consciousness. It's like coming full circle. There was a music school. The music school accepted students. If the students had no previous musical training, then the school charged a certain fee. If the student had previous training, the school charged a higher fee. Why? One might think that the school should charge less for a more experienced student. After all, that student already had learned many things, and had perhaps even mastered some basics. The way I remember the story being told to me, the school charged a higher fee for experienced students because they would have much to unlearn, and this would take time and effort on the part of the teachers. The experienced music students might have picked up all kinds of ideas and habits that would make it harder for them to absorb what the music school wanted them to learn. Profound stuff. As the saying goes "It ain't what you don't know that gets you into trouble. It's what you know for sure that just ain't so." "When we run into people who are speaking (or writing) authoritatively...it's easier to nod wisely, rather than saying...'Could you explain this in more detail?' Ask people questions, be naive, seek clarification...put your own point of view across. This sounds rather obvious, but fear of asking questions and voicing one's opinions due to the idea that 'Well, I'm a beginner, so I don't have anything to contribute,' does tend to hold people back. In my experience, beginners tend to come up with the most...interesting ideas...precisely because they have not yet assimilated other people's fixed notions of what you can and cannot do. "Another issue which is related to 'Beginner's Mind' is that we are often reluctant to acknowledge what we do know, and the value of our own experience, particularly...when we encounter those who have been doing...for much longer. We all have things we can offer each other. Sharing experiences may be somewhat of a cliche, but it's nonetheless a true one." I wasn't originally attracted to Srila Prabhupada and the philosophy of Krsna Consciousness primarily for lofty philosophical reasons. It was almost an animal thing. It was instinctive, intuitive, naive, trusting, a gut feeling, an attraction, a curiosity. It was experiential. It didn't make sense. I imagine that it might be like what salmon feel when they sense that it's time to swim upriver to spawn. I wasn't thinking: "This person (Srila Prabhupada) is a bonafide representative of a long line of teachers stretching back to God himself." It was more like: "Go towards this. It's good for you. Don't be scared." There was an animal quality to it. Imagine a fox stuck in a trap chewing off its own leg in order to get free. Imagine a beaver swimming frantically towards the surface of the water, from deep below, in order to catch a life-giving breath of air. It wasn't a very "heady" thing. Even when I wasn't sure how to reconcile Srila Prabhupada's teachings with what I had learned up to that point, I was still attracted. It felt like something inside was pushing me forward, and it still feels like that something continues to push me forward today. I look back on where I was then and where I am now, and I can see that I was in a bad state. Over the past 12 years Srila Prabhupada's words have been influencing and shaping my world view. The words had a potency. I listened to the words and how I viewed the world began to change. The words didn't simply pass through me, they embedded themselves in my mind. I began to internalize some of them, and those words became part of the voice of conscience. Is that sabda? Is that how sabda works? "Srimad-Bhagavatam is so made that one becomes at once engaged in the path of self-realization simply by hearing the topics. Although it is especially meant for the paramahamsas, or those who are totally engaged in self-realization, it works into the depths of the hearts of those who may be worldly men. Worldly men are all engaged in sense gratification." "The spiritual master is the mercy representative of the Lord. Therefore, a person burning in the flames of material existence may receive the rains of mercy of the Lord through the transparent medium of the self-realized spiritual master. The spiritual master, by his words, can penetrate into the heart of the suffering person and inject knowledge transcendental, which alone can extinguish the fire of material existence." "The spiritual knowledge, brahma, brahma-vidya, sabda-brahma, the Vedic knowledge... Just like in the Bhagavad-gita, the words written in this book, Bhagavad-gita, although it appears like ordinary letters, they are not like that. It is Vedic vibration." "Sound is produced by the ether. So many sounds we are hearing. If you simply remember this sloka of Bhagavata, that sabda, any sound... Hare Krsna sound is transcendental. That's all right. But if you don't like Hare Krsna sound, you take any sound, any sound is also... That is coming from the original sound. Simply it is covered by maya." "So that light is given by guru. Ajnana-timirandhasya jnananjana-salakaya. That light is given not by bringing one torchlight, but jnananjana-salakaya, the light of knowledge. The light of... Jnananjana-salakaya. Caksur unmilitam yena tasmai sri-gurave namah. Guru's business is to give you light by knowledge. Then you understand. Tasmad gurum prapadyeta jijnasuh sreya uttamam [SB 11.3.21]. How the jnana, knowledge, light is given? Sabde pare ca nisnatam brahmany upasamasrayam. This is the guru's system, guru's symptom, what is guru. Sabde pare ca nisnatam. He has completely assimilated the Vedic essence of life. That is called guru. And what is sabda? Sastra, or Vedas. Sruti-sastra. Sruti means Veda, knowledge. Veda means knowledge." "...Krsna is present in the sound. This potaka, He is also present there. Sabdah khe. The sabda, or the sound, Krsna says, that 'I am the sound.' So Krsna is present everywhere." "So God is speaking Bhagavad-gita. Just like reading, Krsna is speaking. So hear it, God speaking, the sound. The devotees are chanting Hare Krsna, that is God, that sound is God, sabda-brahma." "As indicated here by the word manastah, the Supreme Personality of Godhead was transferred from the core of Vasudeva's mind or heart to the core of the heart of Devaki. We should note carefully that the Lord was transferred to Devaki not by the ordinary way for a human being, but by diksa, initiation. Thus the importance of initiation is mentioned here. Unless one is initiated by the right person, who always carries within his heart the Supreme Personality of Godhead, one cannot acquire the power to carry the Supreme Godhead within the core of one's own heart." "This is called initiation. Or initiation from the very beginning. This is called diksa. The Sanskrit term is called diksa. Diksa means... Di, divya-jnanam, transcendental knowledge, and ksa, iksa. Iksa means darsana, to see, or ksapayati, explain. That is called diksa." Pradyumna: Guru-padasrayah. "First one must take shelter of the lotus feet of a spiritual master." Tasmat Krishna- diksadi-siksanam. Tasmat, "from him", Krishna- diksadi-siksanam, "one should take Krishna-Diksa, initiation, and Siksa. 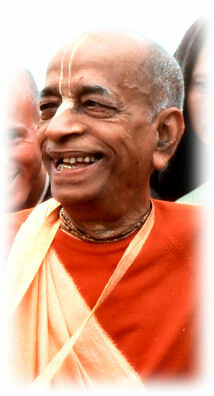 Srila Prabhupada: Diksa means divya-jnanam ksapayati iti diksa. Which explains the divya-jnana, transcendental, that is diksa. Di, divya, diksanam. diksa. So divya-jnana, transcendental knowledge... If you don't accept a spiritual master, how you'll get transcen... you'll be taught here and there, here and there, and waste time. Waste time for the teacher and waste your valuable time. Therefore you have to be guided by an expert spiritual master. Read it. Srila Prabhupada: Siksanam. We have to learn. If you don't learn, how you'll make progress? Then? As time goes on, I come across quotes from Srila Prabhupada that seem to validate my early experiences, realizations and gut reactions. It's intuitively satisfying. "And in 1933 I was officially initiated, and my only qualification was when I was introduced to my Guru Maharaja for initiation, so Guru Maharaja immediately said, 'Yes, I shall initiate this boy. He is very nice. He hears me very patiently. He does not go away.' So that was my qualification. The high standard of philosophy which he was speaking at that time, practically I could not follow what was, he was speaking, but still, I liked to hear him. That was my hobby. Whenever... I was asking that 'When Guru Maharaja will speak?' So he took it very seriously." Sabda penetrates and makes an impression. A samskara. Srila Prabhupada's instructions help to shape and train the person, to create samskaras in the person. "Sudra means one who has no training. Sudra has no samskara. Samskara means training." "That was the system. There was no school fee. There was no problem how to send a boy to the school. Samskara. Now he's trained up." "And formerly also, by his birth, everyone was considered sudra, but there was training, Samskara. At the present moment, there is no samskara, there is no training. The training is only for earning livelihood. No other training." "Dvija means twice-born. First-born by the father and mother, and the next birth is dvijah, means by the father, spiritual master, and the mother, Vedic knowledge. This is called second birth. Samskarad bhaved dvijah. Samkara means purificatory process." "Dvija means samskara, reformation, to mold the character. That is called samskara. Just like you can train even a tiger, even an animal, to dance according to your desire. That is practical. So you cannot train a human being to become a brahmana? With such intelligence? But there is no such training. They are simply training all cats and dogs. But the Vedic civilization takes this opportunity of human being, to make him perfect in his life." "Samskara... The real aim is to bring the rascal to the platform of knowledge. That is called samskara. 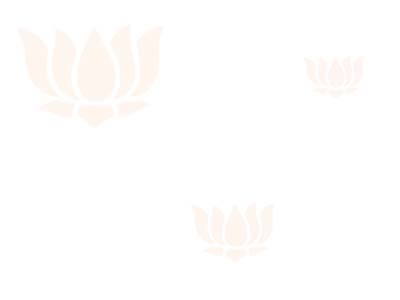 Janmana jayate sudra. By birth everyone is the same, sudras, means without any knowledge. But the samskara means sudra, rascal, without any knowledge of spiritual life, to gradually bring him to the spiritual platform. That is called samskara. And samskarad bhaved dvijah. That is essential. The human life is the opportunity for understanding what he is and what is the aim of his life. The aim of life is back to home, back to Godhead. We are part and parcel of God. Somehow or other we are in this material existence. So aim is again come to our spiritual life, spiritual existence, where there is no struggle for existence, blissful, happy life. Because actually we want happiness, blissful life. That is not possible in the material world. That is in the spiritual world. That is the aim. So every human being should be given chance. That is real education. That is called samskara." "Samskarad bhaved dvijah. By samskara, by the reformatory process, one is initiated -- that is called dvija, dvitiya-janma." (Srila Prabhupada, lecture on Srimad-Bhagavatam 6.1.21, July 5th, 1975, Chicago). "As for samskara, or reformation, this is possible by good association, for by good association one develops good habits, and habit becomes second nature. Therefore, bhakta-sane vasa: let people have the chance to live with bhaktas. Then their habits will change." Good association. Being in the company of Srila Prabhupada. Being affected by that good company. Associating with the words and teachings. Internalizing those teachings and feeling them begin to change one's life. Feeling the teachings impress themselves inside you. Reading as hearing. Books as recorded sound vibration. "Anyone who reads the books that is also chanting and hearing. Why distinguish between chanting and book distribution? These books I have recorded and chanted, and they are transcribed. It is spoken kirtanas. So book distribution is also chanting. These are not ordinary books. It is recorded chanting. Anyone who reads, he is hearing." Receving guidance, sabda, both from inside and from outside. I read an article on the IRM website a while back that I found interesting in connection with Srila Prabhupada's use of the expression "physical spiritual master". I did an Internet search for those words and I found the following quotes. "Therefore God is called caittya-guru, the spiritual master within the heart. And the physical spiritual master is God's mercy. If God sees that you are sincere, He will give you a spiritual master who can give you protection. He will help you from within and without, without in the physical form of spiritual master, and within as the spiritual master within the heart." "Because Krsna is situated in everyone's heart. Actually, He is the spiritual master, caitya-guru. So in order to help us, He comes out as physical spiritual master. And therefore saksad-dharitvena sama... Spiritual master is representative of Krsna. Krsna sends some sincere devotee to act on His behalf, and therefore he is spiritual master." "These are Vedic injunctions. So Krsna, He is within our heart. Hrdy antah- sthah. Therefore, as soon as we become a little inclined towards Krsna, then from within our heart He gives us favorable instruction so that we can gradually make progress, gradually. "Krsna is the first spiritual master, and when we become more interested, then we have to go to a physical spiritual master. That is enjoined in the next verse." I find it interesting that in the above quotes the expression "physical spiritual master" is spoken in the context of a internal guidance (caitya-guru) vs. external guidance. Srila Prabhupada is not Krsna, he is not Supersoul. His instructions are available to us in physical form (tapes, mp3s, books, videos, etc.) The information that we receive internally, intuitively, instinctually, can be checked externally with Srila Prabhupada's teachings, creating a feedback loop. Sabda can be received internally and confirmed externally. It can be received externally, and it will resonate internally. If Krsna is guiding the jiva, he then speaks internally in the heart the same thing that he externally speaks to Arjuna in Bhagavad Gita. No? Devotee: ...so sometimes the Spiritual Master is far away. He may be in Los Angeles. Somebody is coming to Hamburg Temple. He thinks "How will the Spiritual Master be pleased?" The next two exchanges also seem relevant to the topic of how sabda is transmitted. Again, I assume that many here know these quotes already, but I got value out of re-reading them today, so I'll share them. Srila Prabhupada: That he was speaking, vani and vapuh. Even if you don't see his body, you take his words, vani. Narayana: But how do they know that they're pleasing you? Madhudvisa: Is there any way for a Christian to do without the help of a Spiritual Master. To reach the spiritual sky through believing the words of Jesus Christ and trying to follow his teachings? Srila Prabhupada: Spiritual Master is not question of ... Spiritual Master is eternal...so your question is "without Spiritual Master". Without Spiritual Master you cannot be at any stage of your life. You may accept this Spiritual master or that Spiritual master. That is a different thing. But you have to accept. As you say that 'by reading Bible', when you read Bible that means you are following the Spiritual Master represented by some priest or some clergyman in the line of Lord Jesus Christ. Haribol prabhu. I am sorry that there is not much going on with formal ritvik initiations. And for that matter: not too many formal ritvik centers exist to train up new ritvik devotees. My main idea nowadays is to encourage folks wherever they are to simply focus on Srila Prabhupada's books, lectures, mp3 discs, tapes etc. and take shelter of the pure devotee as best we can. Krishna knows how difficult it is for us exiled castaways, thus He will certainly reward us for remaining faithful under these austere conditions. Reading his books, accepting his orders, that is in my opinion de facto initiation, even if we are scattered at the moment. And the reason for this situation is simply, not too many of us "protested the hijacking" as you very nicely put it. Worse, many folks acquiseced if not compromised with the hijackers in order to get a piece of the stolen booty, then again a larger number of folks have pretty much simply given up on spritual practice and they just went away and never contributed to fighting the hijacking of their church. And they complain when they see my stuff that this is all "politics" and in sum they have no idea that the Gita is telling us to fight injustice, they never understood the siddhanta. So we are left with little infrastructure.